RushCard understands when our members face financial hardship, every area of their lives suffers. Operation HOPE is here to help. In cooperation and partnership with RushCard and MetaBank®, Operation HOPE provides free financial programs that will help RushCard members take control of their money. The Credit Counseling Program is designed to help attendees develop plans on how to recover from debt and low credit scores. Certified financial coaches listen to our members’ needs and goals, and then review credit reports, prepare budget analysis, and help establish plans of action to address credit and savings issues. The 700 Credit Score Community is a program that focuses on increasing credit scores through financial education. RushCard’s goal to help people get ahead financially and MetaBank’s goal to provide financial inclusion for everyone aligns with the mission of Operation HOPE: together, we are working to achieve financial dignity for all. Call Operation HOPE today at 1-800-326-9185 for your free, one-on-one counseling services. 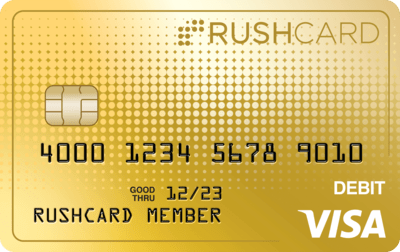 Let them know you are a RushCard member when you call.